Hiking Trails: The many trails in the area include Mike’s Pass, Cathedral Peak Hike, the Rainbow Gorge Trail and short walks to Mushroom Rock and Doreen Falls. 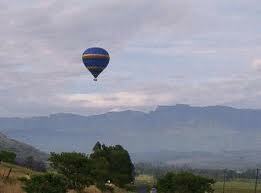 These trails allow visitors to absorb the magnificence of the Drakensberg surroundings. Thandanani Craft Village: Thandanani Craft Village sells traditional handcraft produced by the local Amazizi people. Mambasa Hutted Camp is managed by a local farmer and his farm workers. 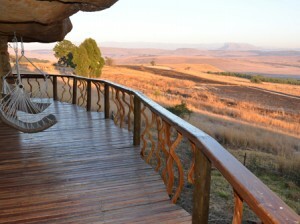 It offers accommodation in a replica of a traditional Zulu kraal but has some added conveniences. The camp is ideally suited for larger tour groups and demonstrations of beer-making, pottery and beadwork are given by the friendly staff. Monk’s Cowl Wilderness Reserve: Monk’s Cowl Wilderness Reserve, about 40 km south¬west of the town is a popular starting point for hikes. Battlefields: The Anglo-Boer War battlefields of Vaalkrans and Spioenkop are both near the town. The Winterton Museum offers valuable background information on the Drakensberg Range. It tells the story of the people, past and present, who braved the mountain to make their homes in the region. Exhibits include authentic African grass huts and old farm implements. Winterton – Drakensberg Winterton is the gateway to the Champagne Valley. Winterton – Drakensberg, South Africa – Drakensberg .Net The town Winterton is situated in beautiful foothills of the Drakensbergin South Africa and is main access point to the Central Drakensberg. Winterton – Central Drakensberg Winterton is the gateway to the Champagne Valley. Winterton – The town Winterton is situated in beautiful foothills of the Drakensberg in South Africa and is main access point to the Central Drakensberg.